Thrive by GoMacro Ancient Seeds Superfood Nut Bars are delicious, chewy and satisfying. You can see the bits of nuts, seeds and fruit in the bars, and they GoMacro proudly shows this by making part of the packing clear so you can see the bar before you even open it. Like all GoMacro products, Thrive bars are USDA-Certified Organic, Non-GMO Project Verified, Kosher, Gluten-Free certified, 100% Vegan, and soy-free. Each flavor is less than 200 calories and provides plant-based protein, essential fatty acids, and prebiotic fiber. We’re checking off major plus points that health-conscious, plant-based eaters like me typically look for in snack food and nutrition bars. Overall this bar is pretty great, whether you’re vegan, have a gluten allergy, eat organic or just want a whole food, plant-based snack. GoMacro is a family-owned vegan company that was started by a mother-daughter team on their organic farm in Southwest Wisconsin. Their original macro bars are just as delicious. 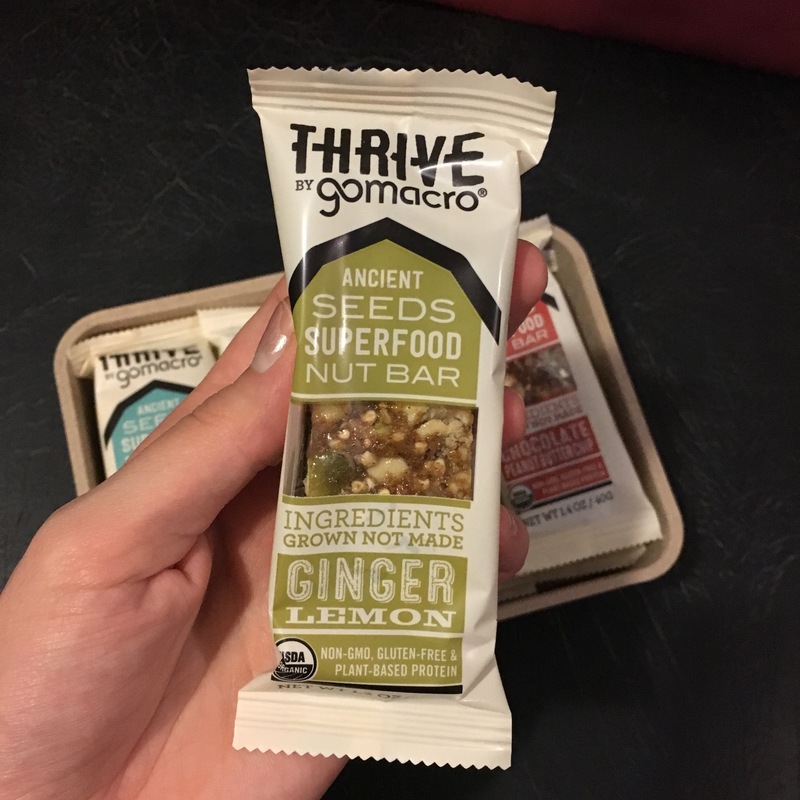 Have you ever tried either original GoMacro or their new Thrive bars? Let me know what you think in the comments below! TO ENTER to win 12 of these all-natural, vegan and non-GMO snack bars, just enter via the Rafflecopter plugin I have set up on Facebook. You will be prompted to follow Lazy Girl Vegan and GoMacro on Twitter and visit us on Facebook as entries. Note: I received free samples of GoMacro Thrive bars for this review.